It took me a long time to design the first T-shirt for my brand. Casual items require precision: the design should be very comfortable and simple; the fabric soft and of excellent quality; and the colors interesting but not trendy. 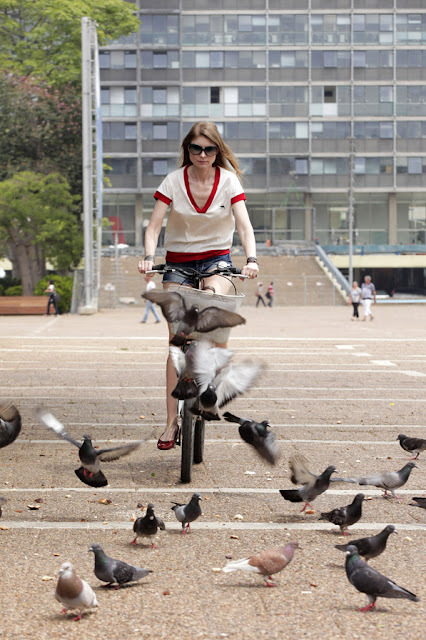 My inspiration for designing the ‘Mosquito’ T-shirt was the world of tennis. Instead of a sport’s company logo, I added an embroidered mosquito. I fell in love with the shape and the idea of a bug on a T-shirt. The T-shirt is made of cream cotton percale combined with thin red cotton knit. 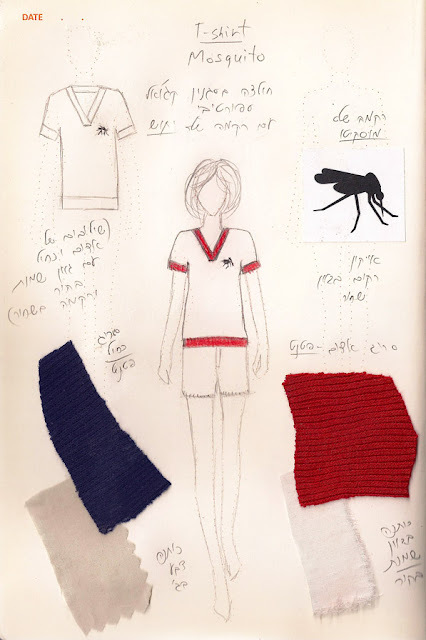 The T-shirt has a V neck opening, matching sleeve and waist ribbing, and a black embroidered mosquito. The T-shirt is also available in beige and navy blue (the fabric colors are shown in the sketch above).